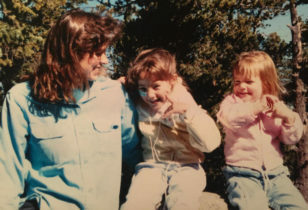 Which mama is spilling her must-have Mother Essentials today? It’s none other than Brooklyn-based Qimmah Saafir, mother to little Leahn, 2 1/2, and the founder of HANNAH magazine (also 2 1/2!). Born and raised in the Bronx alongside eight siblings, Qimmah later honed her skills in the research departments of XXL, InStyle, Marie Claire, Seventeen, Maxim, and several other titles, before taking the leap and launching her own magazine, which is dedicated to telling the stories of inspiring black women. 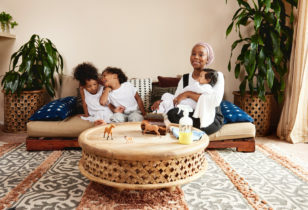 Icons Issa Rae and Tarana Burke have graced HANNAH’s covers, and inside the pages bursts oodles of #BlackGirlMagic, which has become even more pressing while Qimmah raises a young daughter herself. Below, the busy mama reveals her top Mother Essentials of the moment, including a brand-new HANNAH starter bundle perfect for newbies. Tate’s Bake Shop Double Chocolate Chip Cookies (Pack of 2), $13.59, Amazon. Caudalie Paris Beauty Elixir, $37.12, Amazon; Caudalie Paris Beauty Elixir Mini Travel Size Spray Bottle, $18, Amazon. Byredo Bohemia Candle, $85, SpaceNK. Hannah Starter Bundle, $99, HANNAH. Dream Big, Little One, $8.99, Amazon. Babo Botanicals Moisturizing Baby Shampoo and Wash Oatmilk Calendula, $13.43, Amazon. Nike Classic Cortez Leather Sneakers, $63.48, Zappos. Hanahana Beauty Products, $5 to $42, Hanahana. Evelina, 211 Dekalb Avenue, Brooklyn, NY, 929-298-0209. Will Ladybug Hug?, $7.99, Amazon. Albi Bag, $532, Yvonne Kone. She Is God Hoodie, $55, LI3F. For more on Qimmah, check out her inspiring Instagram feed for HANNAH and her personal feed! 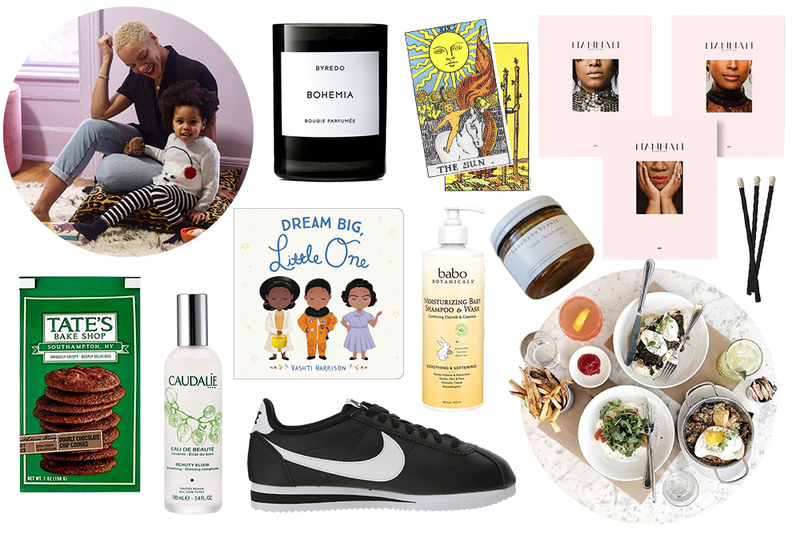 And for more Mother Essentials, peep our past columns with author Ylleya Fields, artist Kindah Khalidy, jewelry designers Lauren Godfrey and Maggie Gavigan Smith, Oakland retail queen Sherri McMullen, PR pro Priscilla Vega, Courtney Klein of Storq, Joanne Encarnacion, LaTonya Yvette, Morgan Walker of Make.do, Jeanne Chan of Harlow & Grey, and more.